LONDON (Sputnik) - The so-called hostile environment, which is also responsible for the ongoing Windrush scandal, has its origins in the UK government’s long-standing policies, UN Special Rapporteur on racism Tendayi Achiume said Friday. Achiume presented her overview of the racial situation, following a twelve-day visit to the country at the invitation of the UK government. Originally intending to focus on investigating the state of inter-racial relations following the 2016 Brexit referendum, the special rapporteur arrived in the United Kingdom as then Home Secretary Amber Rudd resigned, which prompted the investigation to lay special emphasis on the emerging Windrush crisis. "In consultations with racial and ethnic minority communities and civil society representatives it has become clear that the rotten core of the hostile environment resides to a great extent in the 2014 and 2016 Immigration Acts, although the 2006 Immigration, Asylum and Nationality Act is also a part of this picture. These laws have created an immigration enforcement framework that deputizes immigration enforcement to private citizens and civil servants in a range of areas," Achiume told reporters. According to Achiume, the ongoing Windrush scandal around citizens of Caribbean origin is a result of the "hostile environment" policy pursued by then Home Secretary Theresa May. "The dates of my visit were planned many months ago, but have unexpectedly coincided with fraught political and public debates pertinent to my mandate. A clear example was the resignation of Home Secretary Amber Rudd on the first day of my visit. This resignation came amidst the still unfolding scandal of the gross human rights violations and indignities that Afro-Caribbean British citizens popularly referred to as the ‘Windrush Generation’ have had to endure as a result of the so-called ‘Hostile Environment’ policy introduced during Prime Minister Theresa May’s tenure as Home Secretary," she noted. Though Achiume was quick to stress that international law fully recognizes the sovereignty of a nation state to enforce its own immigration policies, she suggested that the UK government policies might be potentially beyond otherwise reasonable norms. "To be clear, international law and even international human rights law protect national sovereignty, including in the area of immigration enforcement. However, where the strategy for immigration enforcement is so over board, and foreseeably results in the exclusion, discrimination and subordination of groups and individuals on the basis of their race, ethnicity or related status, such a strategy violates international human rights law, and the commitments that the UK government has made to racial equality," she pointed out. The Special Rapporteur also evaluated the potential impact of government austerity measures, arguing that widespread budget cuts to social and welfare have had significant consequences for ethnic minorities. Whilst at times appearing to commend the government for otherwise sincere attempts to implement laws intended to combat the threat of racial exclusion, Achiume was highly critical of what she deemed to be economic measures "disproportionately detrimental" to minority communities, with austerity as a whole being said to "inadvertently" operate "as a prime instrument of racial subordination." True to her original purpose, the Special Rapporteur also presented her verdict on Brexit, claiming that the social and political context of the vote to leave the European Union had at times been mired in xenophobic rhetoric, something that had at times exploded into outright violence. "The discourses on racial equality before, during and after the 2016 referendum, as well as the policies and practices upon which the Brexit debate has conferred legitimacy, raise serious issues at the core of my mandate. Many with whom I consulted highlighted the growth in volume of xenophobic discourses on migration, and on foreign nationals including refugees in social and print media. In the days following the EU referendum the Government reported a spike in the number of hate crime in England and Wales reaching 80,393 recorded offences for the period 2016-2017," she stated. Achiume also called on the UK government to protect EU and non-EU migrants from the threat of racial and ethnic discrimination in view of Brexit. 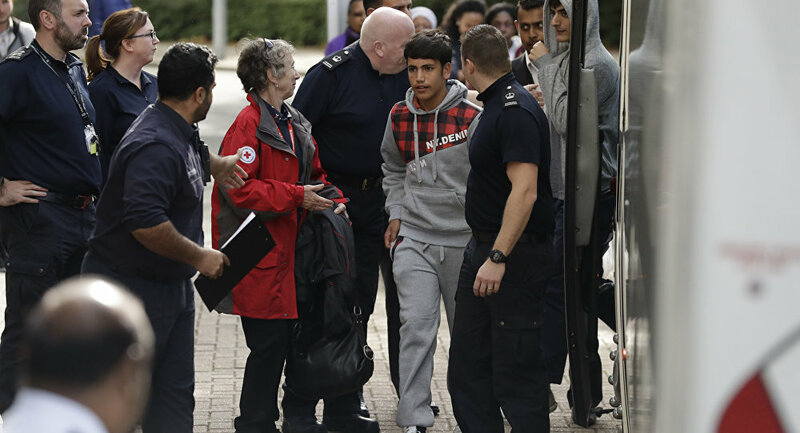 The UN rapporteur’s investigation also addressed concerns of primarily migrant communities over the prospect of the country's final departure from the European Union. "Even in parts of the UK such as the devolved nations and in areas where immigrants remain fundamental to the economic prosperity and success of British communities, the groups with which I consulted reported high levels of anxiety among immigrants regarding their status following the UK’s departure from the EU. In Northern Ireland, groups expressed concerns that even a policy that committed to no routine passport checks in the Common Travel Area might result in non-routine checks that in the hostile immigration environment would lead to racial profiling of transiting minorities," she stressed. The migration issue has recently dominated the UK political debate both due to the need to work out a new post-Brexit migration policy and the recently emerged Windrush scandal. The Windrush scandal emerged soon after it was learned that some representatives of the Windrush generation or their relatives had been declared illegal migrants due to the absence of official papers confirming their status. 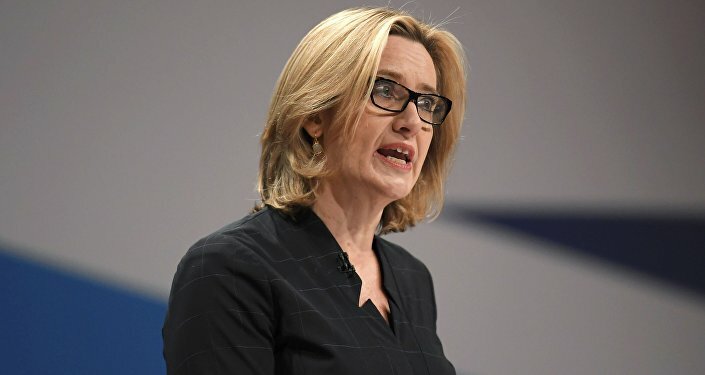 The tensions grew further when The Guardian published Rudd's letter to May, in which the home secretary informed the prime minister of her intention to increase deportation targets by 10 percent. This came just days after Rudd denied that her office had targets for migrants’ removal. The term "Windrush generation" relates to migrants who came to the United Kingdom from Caribbean countries between the 1940s and 1970s to fill the labor resource gap in the country. The term relates to the name of the first ship, carrying the Caribbeans — Empire Windrush — that arrived in London in June 1948.